Every restoration is a callenge of its own. The level of dedication and perseverance required can make it somewhat of a spiritual journey for its owner (if not for the ones around him). In the case of this E-type Jaguar, it was the car itself that went on a pilgrimage on the Camino Real. 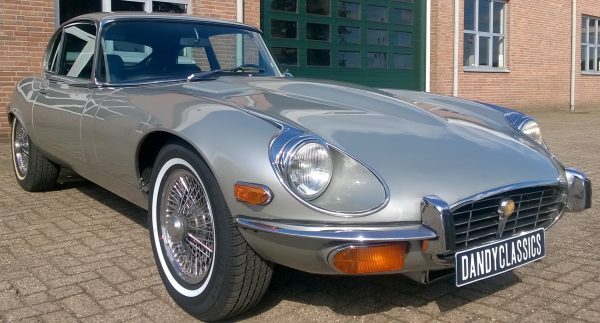 The 1973 Jaguar E-type S3 V12 2+2 coupé featured here was not really in a bad condition. 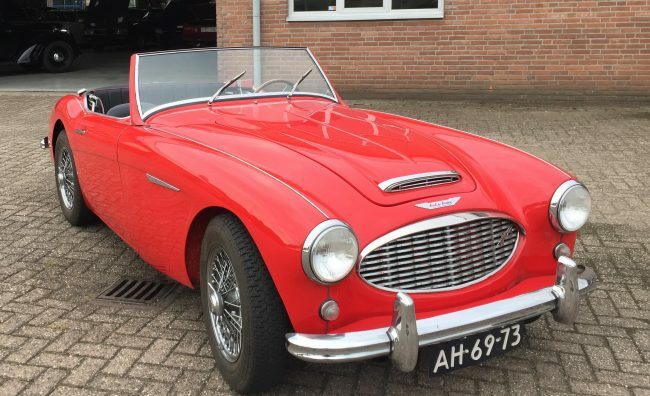 Having been sold new in the USA, it became part of a multi-car collection after being imported to the Netherlands. For over 20 years, the big cat was kept indoors, only to be taken out for a yearly 'spin-around-town' on dealer plates. With 75.000 mls, it had never been restored and was in running and driving condition. Time had left its marks though; the body had several flaws and the Jaguar needed to be brought back to a state of preventive maintenance. The e-type in unrestored condition. Sold by Dandy Classics, to a new Spanish owner. We sold the E-type to a new caretaker from Galicia, Spain. With a thorough approach and with respect to originality, a restoration was started. 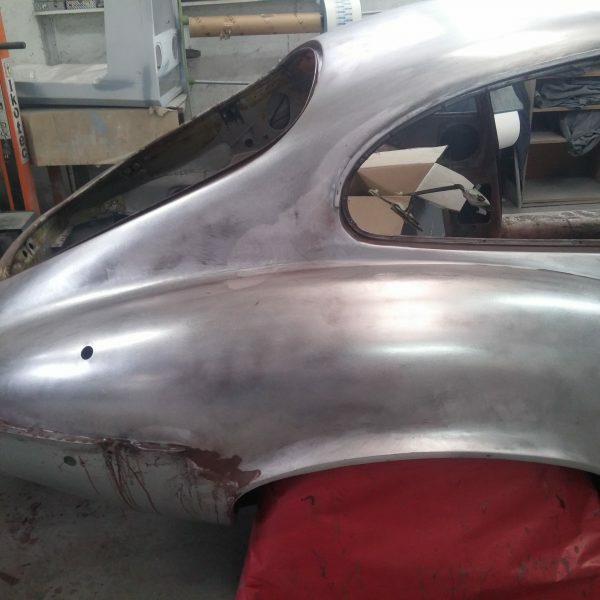 The body was taken down to bare metal, before being refinished in its original silver colour. 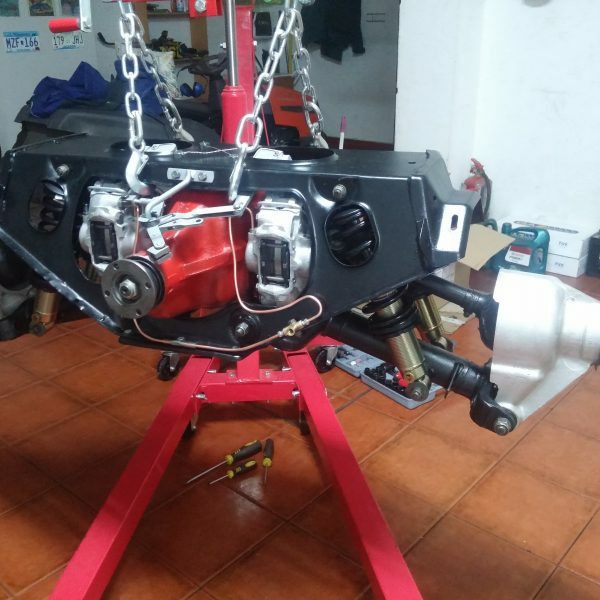 Mechanically, the car has been freshened up, with complete rebuilds of front and rear suspension, carburettors and cooling system. 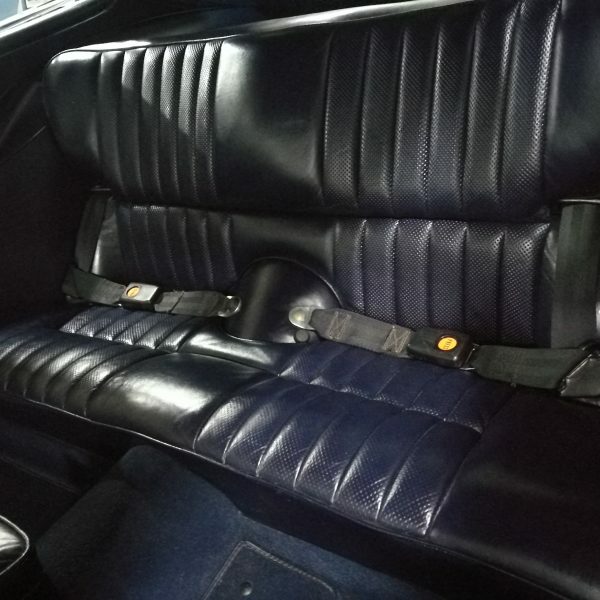 The interior was kept original, preserving the leather seats rather than reupholstering them. 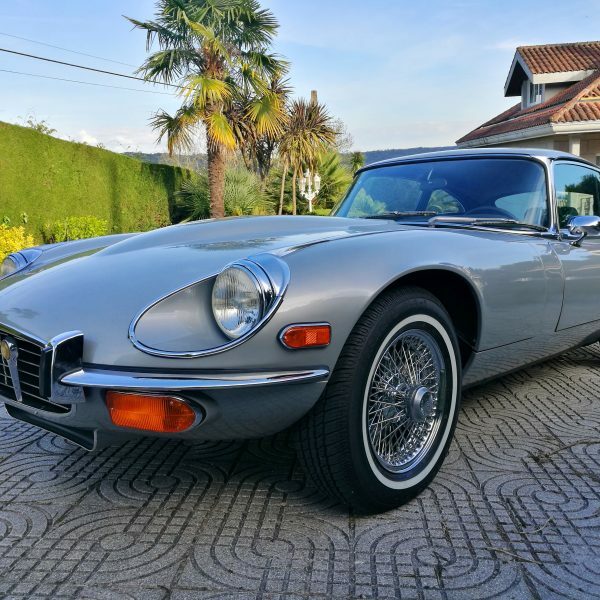 The new owner can be proud of his achievement of turning this monumental car into a stunningly beautiful and reliable driver. It must be a treat to drive a car like this on winding Spanish coastal roads. If you ever visit Galicia, watch out for this big cat leaping up from behind. 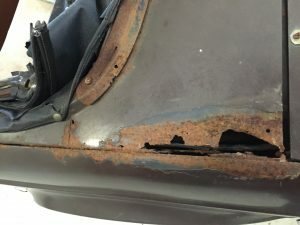 Did this article inspire you to take on a restoration project by yourself? Take a look at our collection and see what's in store. The Triumph TR6 is undoubtedly one of the most distinctive classic British roadsters. This sports car has muscular looks, a real chassis and a lovely dark growling six-cylinder in-line engine. Former Top Gear presenter James May called the TR6 'the blokiest bloke's car ever built'. Be warned, this car is only suitable for tough men and women. The type that doesn't mind driving through a rain shower with the top down and replaces the contact points on a pub's parking lot. 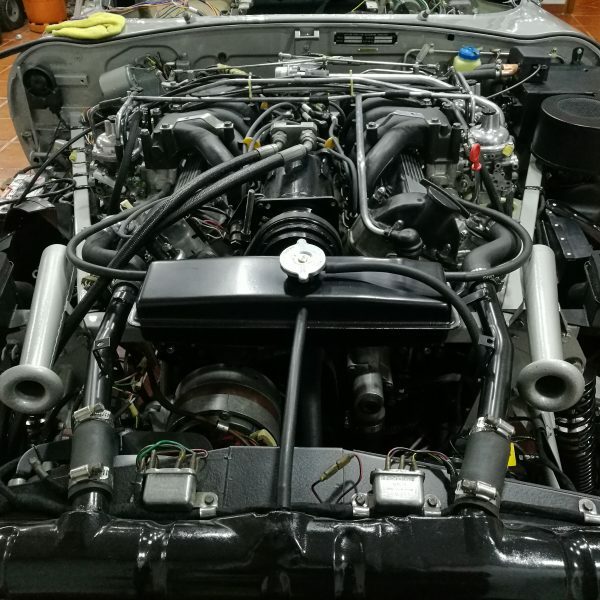 For all others: the car also has a convertible top and drives a lot nicer after the installation of an electronic ignition. 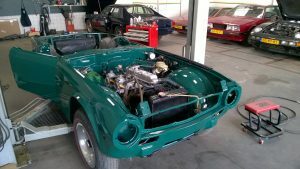 Triumph TR6 as 'poor man's Austin Healey'? Thanks to the high production numbers (almost 100,000 have been built between 1968 and 1976), a TR6 is an affordable alternative to the Austin-Healey. The Triumph TR6 is even partly responsible for the big Healey disappearing from the stage. In the late 1960s, British Motor Holdings (the parent company of Austin, MG and Jaguar) merged with Leyland Motors, of which Triumph was a subsidiary. The management felt it was necessary to downsize the range of sports cars, in order to prevent internal competition. At that time, the Austin-Healey was at the end of its development cycle and could no longer meet the stricter requirements of the North American market. 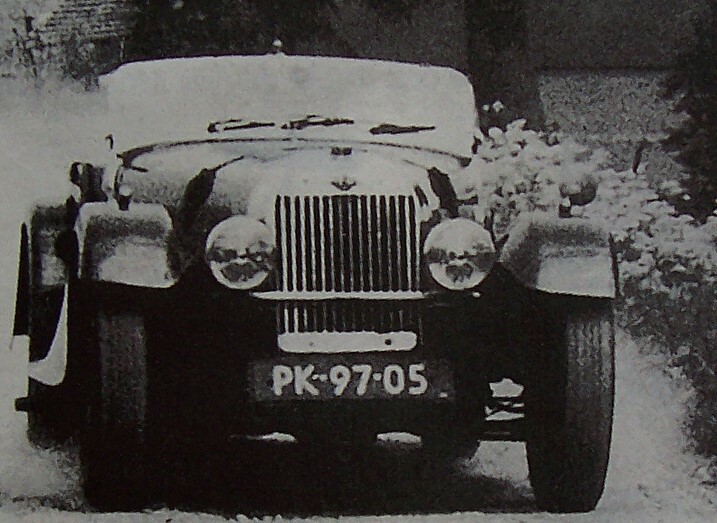 In addition, British Leyland already had a recently renewed six-cylinder sports car: the TR6. 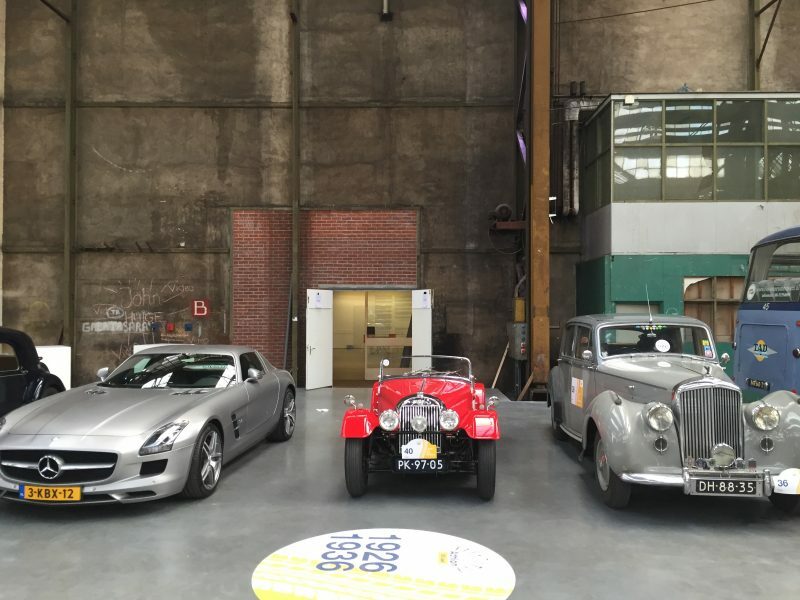 Thus the brand Austin-Healey disappeared and the TR6 survived the new business strategy. 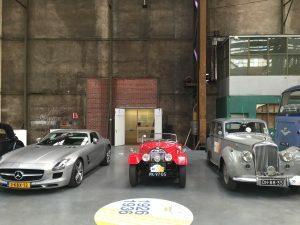 In terms of character, the cars are quite similar: both rear-wheel drive two-seaters, with a six-cylinder in-line engine and a four-speed gearbox with optional overdrive. Yet a Healey in terms of experience is a lot rougher and more spartan than the TR6 with independent rear suspension and a somewhat tamer engine (in US spec, with 2 Stromberg carburettors). Those who do not have the budget for a Big Healey, however, have the best possible affordable alternative with a TR6. The six cylinder engines are solid and reliable. 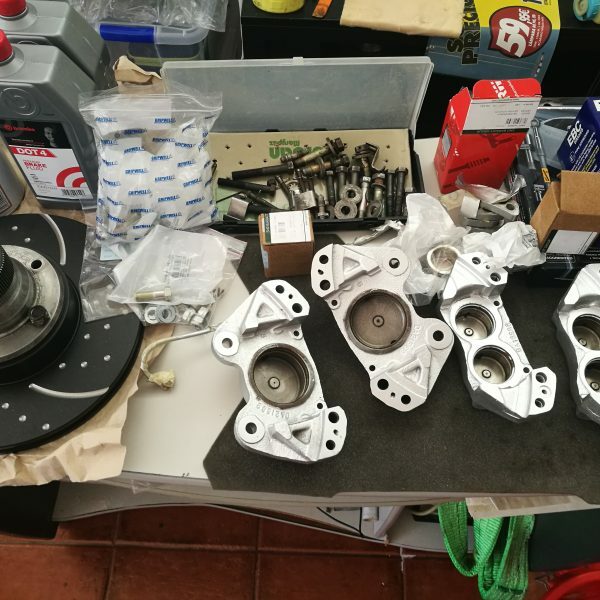 If properly maintained, these Triumph engines account for about 100,000 miles before it is time for an overhaul. Thanks to the simple construction, such a rebuild is relatively easy to carry out. 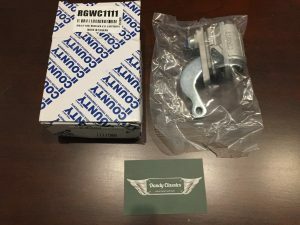 The cylinder sleeves are removable and can be supplied new as a set with new pistons and piston rings. Worn out engines can easily be recognized by low oil pressure, high oil consumption and mechanical noises that do not sound healthy. Gearboxes and differentials have a long service life with normal use and regular maintenance (clean oil of the correct type). Here too, however, it will be time for a rebuild at a given moment. 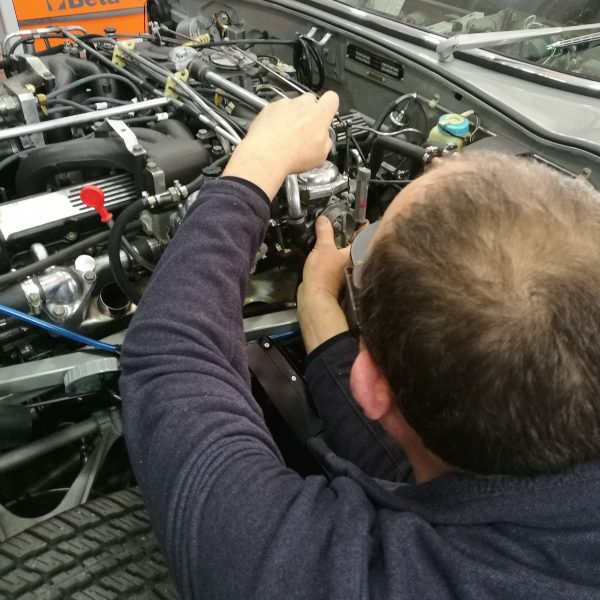 In our workshop we regularly overhaul separate gearboxes and differentials for the TR6 and other Triumph sports cars. The original mechanical fuel pump's rubber membrane will eventually fail, due to age and / or the effects of ethanol in modern gasoline. Read our article about which petrol to use in a classic car for more advice on this topic. New petrol pumps and overhaul kits are available in our webshop. These are known to be ethanol-resistant. Fortunately, the TR6 is an easy car to work on by yourself. Parts are widely available for relatively low prices. Small technical problems do not have to be an obstacle to the DIY mechanic. It is much more important to find a car with a healthy chassis and a rust-free body. More information about technical weaknesses of the TR6 can be found in this blog article. 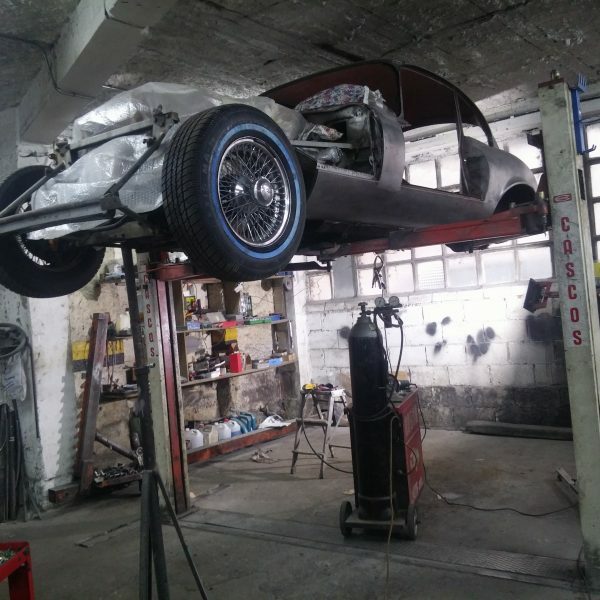 As far as bodywork and chassis are concerned, there are only two possibilities: either you buy a car that has already been restored, or you buy a restoration project. The proverbial 'fixer' that only needs paint is an illusion. Even the youngest TR6 is now more than 40 years old and after 4 decades there are simply too many areas that can and will give problems. If your budget is not sufficient for a well-restored car, but you also do not want to start a body-off restoration: be warned. Many cars that have already been refurbished can be worse under layers of paint and underbody coating than a rusty-looking project car. Multi-layer paint jobs are a guarantee for trouble: cured synthetic paints can 'work' with more flexible layers above them. The result is miniscule cracks, under which moisture can creep and rust can arise. 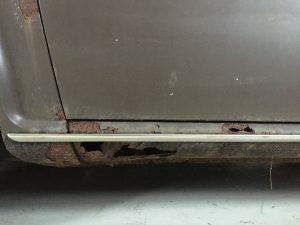 The TR6's most common weak points are the sills, bottom of front and rear fenders and the floor boards. Rust can also appear in areas where mud and dirt accumulate: around the headlight edges, around the inside of the tail lights and at the top edge of the rear wing. The rear of the boot lid and the battery box are also well-known sensitive areas. 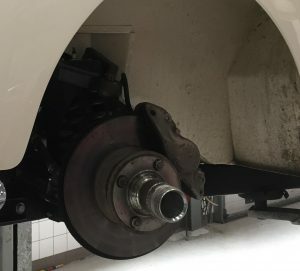 The chassis is prone to rust on the crossmembers (mounting points of the rear suspension) and the cover plate of the X-cross in the centre. 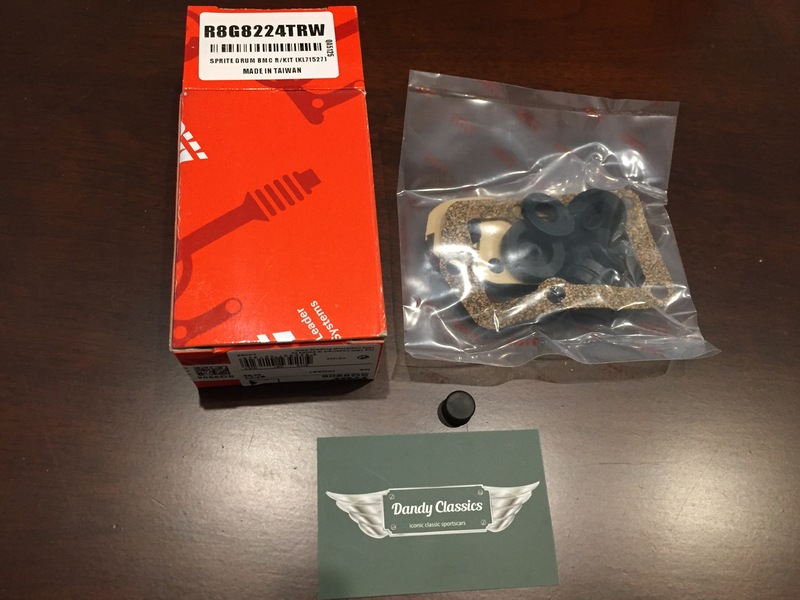 Replacement sections are readily available, at reasonable prices. 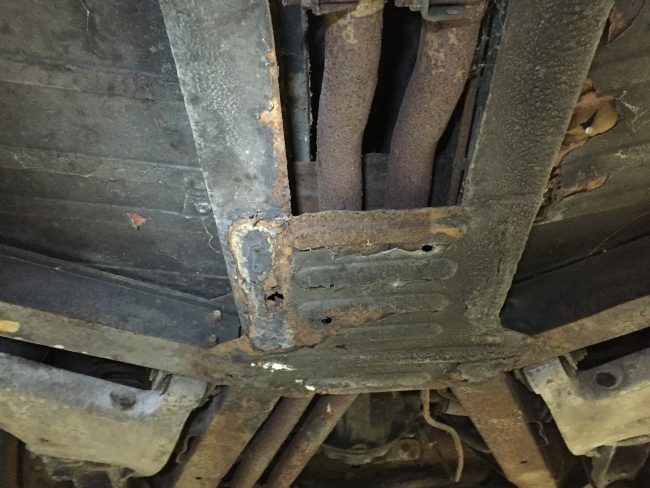 Keep in mind that structural repair of rust damage can only be carried out properly on a completely dismantled car. The Triumph TR6 has an attractive, typical British interior with a wooden dashboard and a nice collection of classical instruments. The interiors will already have been renovated on most cars, as the original carpet and vinyl does not have eternal life. The triplex wood dashboard panels are known to disintegrate over time. 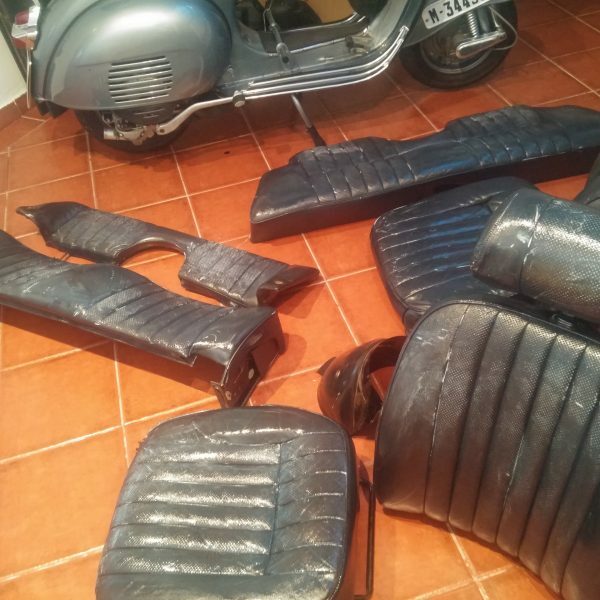 All parts for renovating the interior are available. Make sure that the materials match the original specifications; Cars with custom-made upholstery, an aftermarket steering wheel and / or a shiny walnut wood dashboard are less desirable in our view than cars with an original interior. 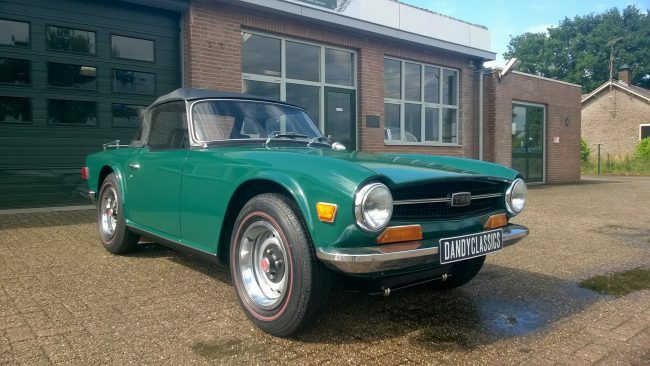 At Dandy Classics we usually have one or more Triumph TR6 cars available for sale. We are particularly specialized in the purchase and sale of unrestored project cars. Our current stock can be found on the collection page. A red Plus Four left the Morgan factory in Malvern Link on 17 March 1952, on its way to a journalist from Scheveningen in the Netherlands. The car caught the eye of a young petrol attendant, who closed a gentleman's agreement with the first owner. 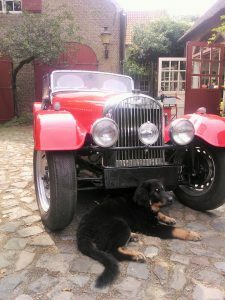 Should the Morgan ever be sold, he would be granted the first right to buy it. Years later, the gentlemen were able to finalise their agreement. The car changed hands for a substantial sum - at that time enough to buy a Mercedes 300SL Gullwing. In the 70's and 80's, the car was not spared. Thanks to a tuned Triumph TR3 engine, a leather belt was required to keep the bonnet in place through fast cornering. The sports car was used as a multi-purpose vehicle: during the day as a delivery van to get hay for the horses and at night as a doghouse. Eventually, the years started to take their toll and the car was sold as a restoration project. The first attempt to restore the car was not particularly successful. The car was bought back in boxes by the second owner, and sold the same week to the current caretaker. He restored the car in detail and re-installed the completely rebuilt original Vanguard engine. The Moggie grawls happily again and is regularly taken for a spin around the countryside. 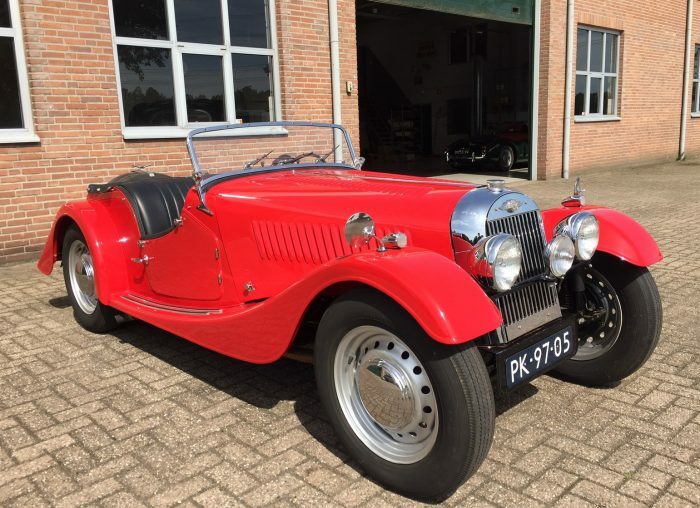 This car still has its Original Dutch blue plates, with linnen title, and is the only Morgan Plus Four 'flat rad' that has ever been sold new in the Netherlands.